The grass rustles underneath your feet, grasshoppers jump off with every step you take. The meadow orchards in a place called “Wambolter Sand” near Bensheim are typical for the Bergstraße district. But they are, nevertheless, getting rarer and rarer. Benedikt Kuhn, Marco Daub, Florian Schumacher and Martin Schaarschmidt are bound and determined to save this cultural landscape. Every few meters a tree bends over the meadow. Each season and each storm left its traces in their gnarled branches. Entire families lived in their stems, a woodpecker family first, then perhaps a pair of nuthatches, and later on some bats and beetles moved in. The meadow orchards of the Bergstraße district and the Odenwald have characterised the landscape for centuries. 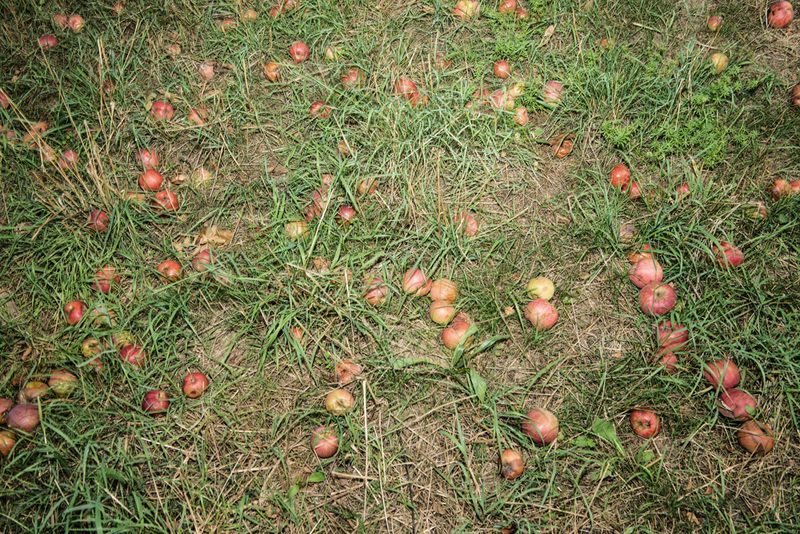 However, “meadow orchards have declined by about 75 percent during the last 50 years,” Martin Schaarschmidt reports. Together with Florian Schumacher he is standing at the edge of one of the meadows which once used to surround the fringes of small towns and villages like green belts everywhere in Germany. 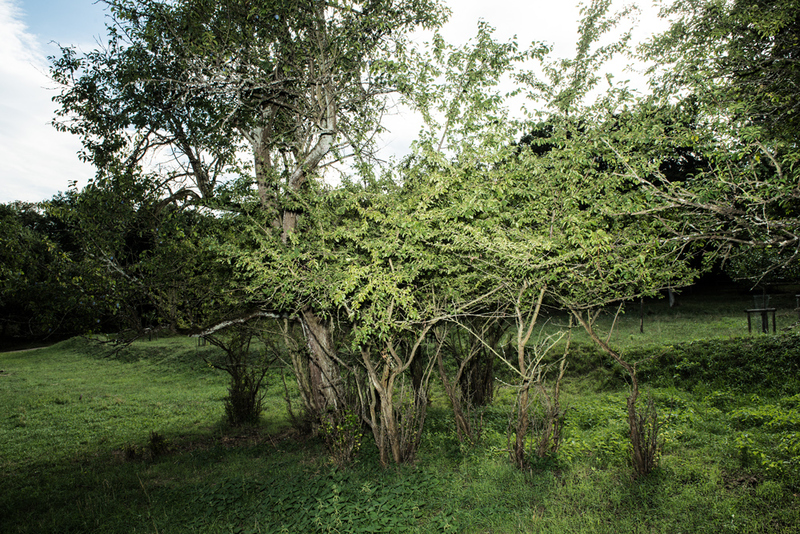 The meadow orchards were then cleared and used as building sites, swallowed by forests or overgrown by bramble bushes. In Bensheim, too, nobody has taken care of the trees for decades. But now a change is taking place at the Wambolter Sand. 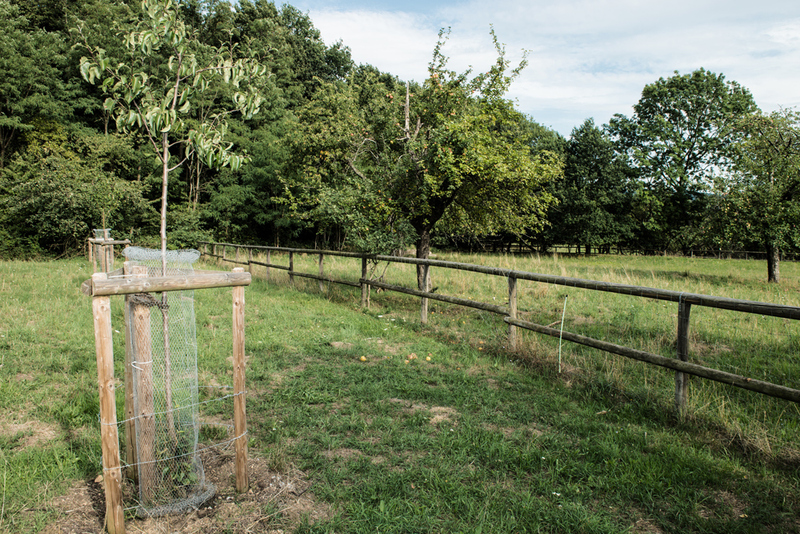 Between the age-worn “Rheinischer Winterrambour” (apple variety from the Rhine region) and the gnarled “Schweizer Wasserbirne” (Swiss water pear) a new generation of fruit trees is growing. With illustrious names like “Roter Mond” (red moon), “Sommerzimtapfel” (summer cinnamon apple) or “Rote Sternrenette” (red star rennet). Four young men are responsible for this change of generations. Martin Schaarschmidt, Florian Schumacher, Benedikt Kuhn and Marco Daub – the meadow orchards saviours, as they call themselves. They take care of the upkeep and the maintenance of the orchards, here, in an area the size of over eight hectares. What apple variety could that be? It might be on the meadow orchard saviours’ wanted list … . 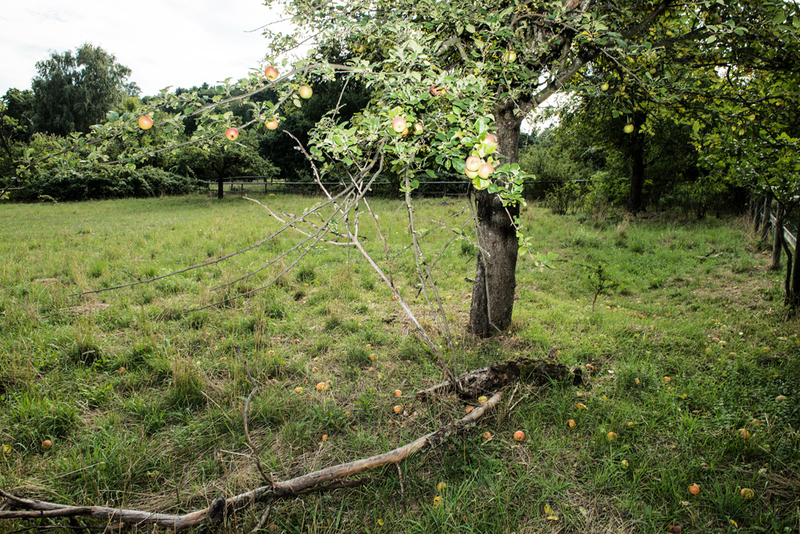 The meadow orchards’ fine fruits. Almost each of the more than 180 young trees growing here on the meadow orchards meanwhile has a sponsor. The fact that nobody took care of his grandparents’ meadow orchards any longer bothered Martin Schaarschmidt already when he was a youngster. This is why he as a 16-year-old boy now and then skipped his football training in order to prune the hedges and lop the trees instead. Later as well, while he was already working as a project engineer for Unilever, his beloved meadow orchards preyed on his mind. He enrolled at Rostock University in a distance learning course on environmental protection, and for his final thesis he developed a concept for the conservation of the meadow orchards in the Bergstraße district. By now, he has turned his back on economy professionally as well, as he prefers to live his dream: as the deputy general manager of the “Landschaftserhaltungsverband Rhein-Neckar” (an association for landscape conservation in the Rhine-Neckar region). Florian Schumacher and Marco Daub are the founding members of the nature conservation association in Einhausen. “Marco knew Martin and told me that we should by all means meet him,” Schumacher recalls. “It was love at first sight.” The two men in their mid-thirties laugh. Also aboard is Benedikt Kuhn. The designer and convinced cider-drinker from the Odenwald realised how uninspired and out-dated the marketing of cider was and came up with the brand called “Bembel with care” (“Bembel” being the dialectal word in Hesse for the pitcher cider is traditionally served in) with which he successfully created a new image more in keeping with the times for the good old drink. 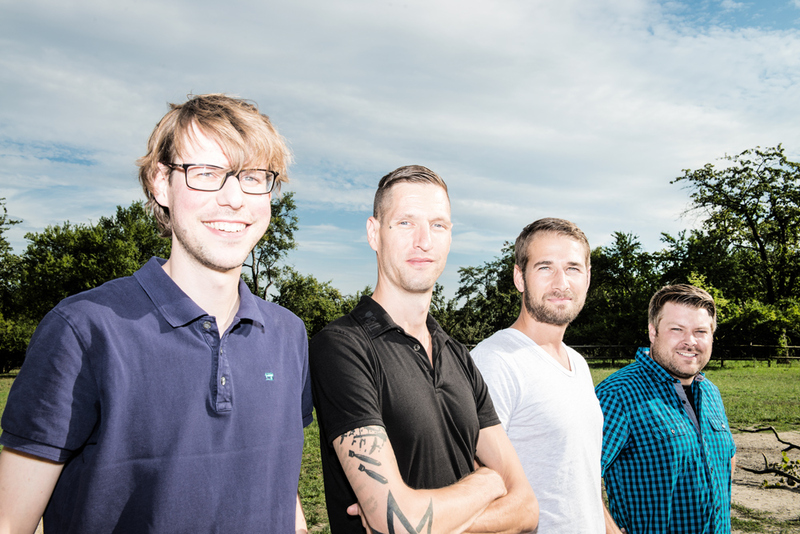 The Fantastic Four of the meadow orchards: Marco Daub, Benedikt Kuhn, Martin Schaarschmidt and Florian Schumacher (left to right). They might seem unobtrusive – but meadow orchards are unique habitats. In and about the old trees, there is a bustling life of diverse birds and insects. 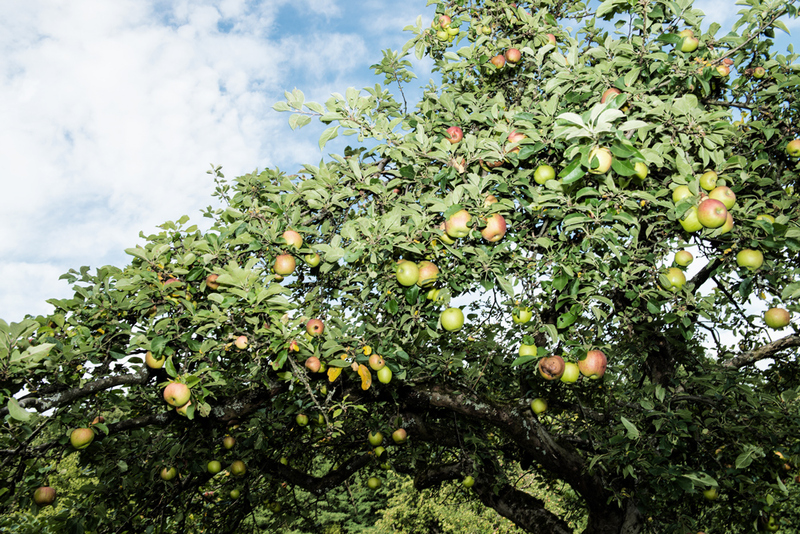 Up to 5,000 animal and plant varieties live in one meadow orchard. Even the rare tall thrift takes a liking to the sandy soil here, and many of the trees belong to those varieties which are already in danger of extinction. “It was detective work trying to find out what was actually growing here,” Schumacher reports. They involved pomologists and even sent 100 individually packaged cherries to an expert in Thuringia. “But we still don’t know the varieties of some trees.” Sometimes the saviours of the meadow orchards call for variety hunts on the internet in order to track down old Odenwald varieties. On their wanted list you can find varieties like the “Heppenheimer Renette” (rennet from Heppenheim) or the little green “Schafsnase” (sheep nose). Thanks to relevant information given by the public a “Kalbfleischapfel” (veal apple) is at least now growing in Bensheim again. Familiar, but rare: apple tree out in the wild. By now, the saviours of the meadow orchards have found some allies. 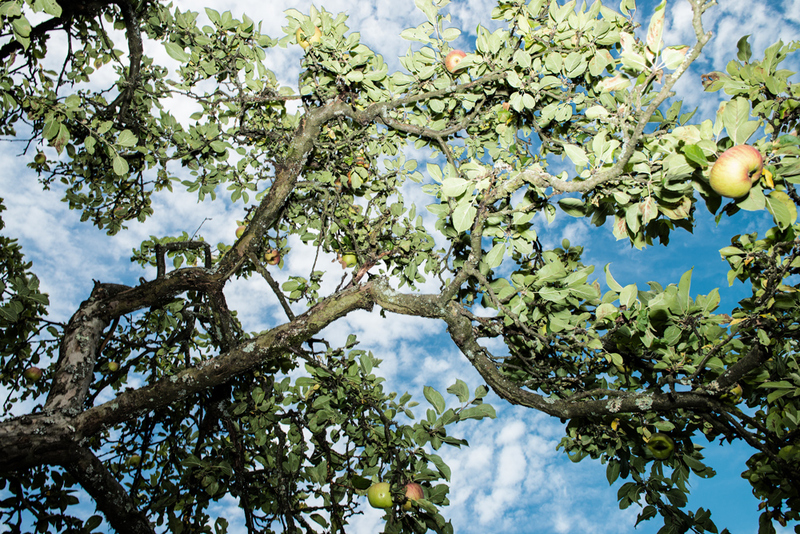 In 2012, the orchard activists creamed off the Rhine-Neckar Metropolitan Region’s citizen price endowed with 10,000 Euros for their project “Juice made from abandoned fruit”. Almost each of the 180 young trees growing on the meadow orchard here has a sponsor today. Shepherd Simone Häfele will come in June and in the autumn with her herd to graze the stretch of land. Entire school classes pitched in and helped with the tree care – as well as a group of Albanian refugees. The press house called “Kelterei Falter” produces the “Streuobstwiesenretter-Apfelsaft” (meadow orchard saviours’ apple juice) from which the “Genusswolke” in Offenbach makes jellies. “Meanwhile we receive requests from all over Germany almost every day,” a pleased Martin Schaarschmidt says. And so it seems as if many more meadow orchards could be saved from disappearing altogether due to the growing interest. You might not see them. But there are hundreds of tiny animals hidden in this picture. WHERE ELSE. A magazine for people who like to be on the move. Travelling to places. To landscapes. To cultures. To stories. Or to themselves. And a magazine about people who came back home – and do not want to be anywhere else but here. A regional magazine for travellers that is. Or a travel magazine for the region. In such a form perhaps only to be found here. Where else.